LEN (Liquidity Exchange Network) is what makes our exchange unique. This mechanism allows collecting and aggregating buy/sell orders through APIs of 1,2...n exchanges located anywhere in the world and forming a unified order book. Thus, orders are combined and users can now make deals with best prices and minimal spread. As a result, our users get access to the single order book, in which they see both the orders of our exchange and orders relayed from other platforms. Due to the platform aggregating sufficient amount of liquidity of various tools, it is planned to implement trading of deliverable futures and options for those that have the highest liquidity. Tools for scalping trading, marketmaking, etc. The security of the server side has been thoroughly tested. Fully functional iOS and Android trading apps. Online wallet with the investor’s personal account that allows to receive, store, send, and automatically convert funds. On the growing cryptocurrency market, our ICO may be one of the few options for investors to enter the cryptocurrency services and exchanges market through a finished elaborated project. The trading core that aggregates liquidity from at least three sources, a web-based trading platform. Purchase of the MT5 license and its customization for our service. Connection of additional payment systems allowing you to replenish the balance from MC, Visa, Union Pay plastic cards, possibly, connection of PayPal and other payment systems. Launch of an online wallet with the investor’s personal account and the functions of receiving, storing, sending funds, automatic convertion. Improvement and bugfixing of the iOS and Android apps. Launch of the merchant acquiring service. Start of the margin trading/shipment futures trading. Launch of the platform used to trade third-party tokens during ICOs (in a separate jurisdiction). Co-founder and CEO. Roman has 9 years of experience in financial and investment consulting on stock and currency markets, 7 years of independent trading experience in the stock and derivatives market. He has been active in the cryptocurrency project field since 2013. Roman is also a co-owner of an investment company, which he actively managed until 2017. Subsequently, he became completely immersed in LIQNET. Roman has a deep knowledge of fundamental and technical analysis tools, which generate revenue for customers. He funded the LIQNET development using personal funds. Roman also has higher education with a degree in engineering (Perm National Research Polytechnic University). Co-founder. Vyacheslav has 9 years of business experience in the funding and international projects management field. Also, he has been active in the cryptocurrency project field since 2013. Higher education with a degree in economics. Co-founder and CTO. Yevgeny has 11 years of experience in the information technology field. He is also a manager of an IT company. Yevgeny has 9 years of experience in management positions at state-owned and private companies. He began his career as an information security engineer. He has managed various state organizations’ integration projects, software and hardware systems integration projects (e.g. the queue management system for Sberbank of Russia), automated systems developing projects for private and state-owned companies, information security organizing projects, automated trading systems, etc. Also, Yevgeny has managed the startups’ MVP’s development. Higher education with a degree in engineering. Senior Developer. Andrey has 5 years of experience in the field of information technology, 5 years of experience working on projects for the West Ural Bank of Sberbank of Russia, Nomos Bank, the Social insurance Fund, the Pension Fund of the Russian Federation, and network shops for the following brands: Eldorado, M.Video, Pepsi, SunInBev, and RGS-Life. It is also worth mentioning that Andrey participated in the various startups’ MVP development , teamwork organization on projects. Higher education with a degree in engineering. Senior Developer. Andrey has 7 years of experience in the field of information technology, and he has worked as a developer on a number of large projects for Road Safety Technologies Ltd. Andrey also has application servers within projects, database servers, and Linux servers (Ubuntu, OpenSuse, and AstraLinux) administration experience. It is also worth mentioning that Andrey participated in the several cryptocurrency projects’ MVP development . Higher education with a degree in engineering. Director of Analytics. Ksenia has 4 years of development experience working on IT projects, including databases; 4 years of experience as a business and systems analyst. It should be noted that she has worked on projects for the Central Bank of Russian Federation, Sberbank, Deposit Insurance Agency of Russia, and the Federal Customs Service of Russia. Also, she has collected, analyzed, and coordinated requirements as well as participated in the design of data warehouses and data marts as a part of her work on projects. it is worth mentioning that Ksenia also has experience in writing project and technical documentation, setting development tasks, drafting recommendations, testing and launching process monitoring. She has 2 years of experience in the cryptocurrency field. Higher education with degrees in engineering and economics. Senior business analyst. Stanislav is engaged in the analysis of the trends in asset prices, the cryptocurrency market efficiency, and he also elaborates the economic and project’s financial components. it is worth noting that he has experience developing trading strategies, calculating economic models for real sector projects, calculating models for assessing credit risk (for the energy company Inter RAO Ltd), and developing a cryptocurrency trading algorithm that was essential for the deployment of an automated trading system that allows trading simultaneously on several platforms at a time. Higher education with a degree in economics. Head of Marketing. Maksim has led the marketing activities for Internet projects for 5 years. He is engaged in the marketing campaigns development, implementation, analysis and competitors monitoring. It is also worth mentioning that Maksim participates in strategic business planning and has higher education. Head of the Legal Department. Anton provides legal support for the project by analyzing the different jurisdictions laws, developing documentation, establishing subsidiaries, and connecting payment systems. He has 4 experience years providing support for international projects. Higher education with a degree in law. 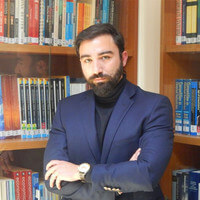 Dr. Stylianos Kampakis is an expert data scientist, member of the Royal Statistical Society, honorary research fellow at the UCL Centre for Blockchain Technologies and startup consultant living and working in London. It is worth mentioning that he is natural polymath, with degrees in Psychology, Artificial Intelligence, Statistics, Economics and a PhD in Computer Science. 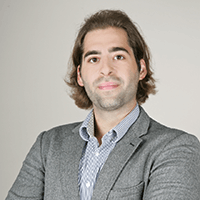 Dr. Stylianos Kampakis prefers to use a wide range of skills to solve complex problems. Open the registration/login form. Enter your email and password to log in. To register, enter the real passport data into the form, the email and come up with a password. Please do not use a simple password. You will keep your funds on this account, so it is very important to choose a reliable and long password. After the registration, a letter with a link to activate the account will be sent to the e-mail address provided. Contact the customer support service at https://liqnet.freshdesk.com or describe the problem in a letter to support@liqnet.com. From the point of view of the logic of use, trading on the LIQNET exchange does not differ in principle from that on other cryptoexchanges. Register on the site https://liqnet.com, top up the balance and start earning! You can top-up the balance in your personal account at https://liqnet.com. If you click on it, a form with balances will open for all accounts of the user. More detailed information can be found in your personal account. 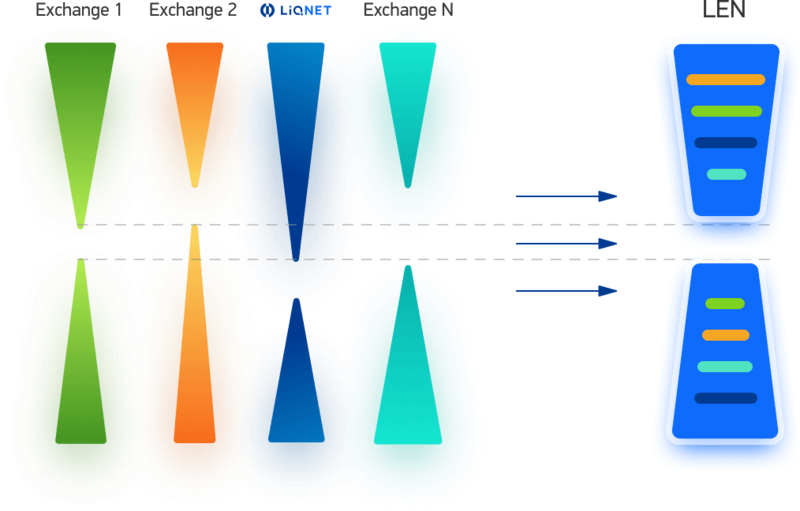 Liquidity for the LIQNET exchange is collected both by classical methods and by a separate mechanism based on the LEN technology of our own design. The LEN mechanism (Liquidity Exchange Network) collects and consolidates LIQNET exchange clients orders and orders from third-party platforms into a single order book and makes them available for trading to all LIQNET clients. Will there be an opportunity to trade for fiat currencies? What is the LEN technology? LEN is a mechanism that allows you to collect and aggregate data on buy/sell requests through an API from a variety of cryptoexchanges located anywhere in the world and form a single order book. LEN aggregates orders into a single stream, so users can make deals at the best prices with a minimum spread. LEN allows the LIQNET system to obtain from the standard depth model an improved model with additional liquidity at the meeting point of supply and demand. 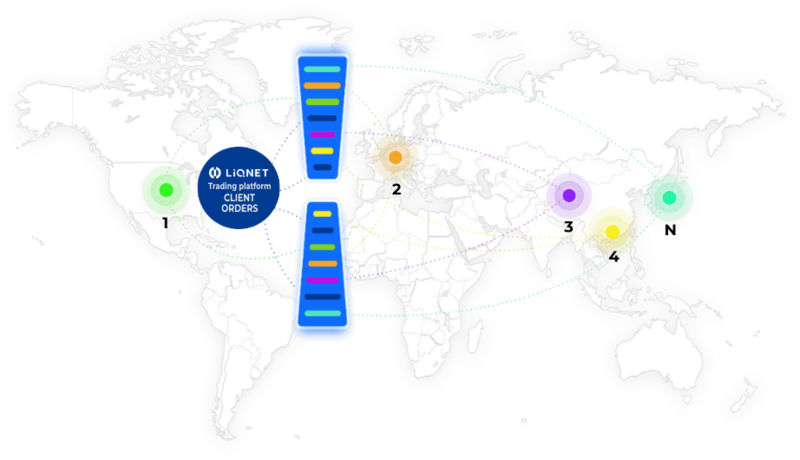 As a result, LIQNET users work with a single order book, in which both the orders of the clients of this exchange are presented, as well as retranslated orders from other sites. During the ICO period, the LEN tokens can be purchased in the LIQNET User Account. To do this, create an account or log in to the already created user account at http://liqnet.io. The exchange value of the LEN token will be determined in accordance with the demand and supply for it. The more users of the LIQNET platform, the more participants need the LEN tokens. The company does not give any forecasts and does not participate in the formation of the value of the tokens. For more information, see the White Paper. Trading tokens will be possible at LIQNET after the ICO. - The maximum number of tokens (provided that all tokens will be sold in the first three days): 63,746,032. After the PreICO, the number of tokens issued can be recalculated depending on bonuses and fees. - During the ICO, the required number of tokens will be created automatically. - Link to the ICO website: http://liqnet.com/. After registration, the participants will have the address of the smart contract. - The mechanism for destroying tokens: the unused tokens are destroyed using the mechanism described in the smart contract. LIQNET independently chooses and connects other exchanges or projects to itself. The choice is influenced by the holders of the tokens through voting. I am a major investor / journalist / representative of the exchange / potential partner. How do I contact LIQNET? You can contact the LIQNET team by e-mail support@liqnet.com. Describe your question, and it will be answered by an appropriate specialist. To participate in the LIQNET's ICO, register at https://liqnet.io, go to your personal account https://my.liqnet.io/login and follow the instructions. Soft cap — $20 million. Hard cap — $50 million. If 95% of Hard cap is collected, the development of the acquiring service will be postponed until the moment when the necessary funds are earned on the commissions of the exchange. If 90% of Hard cap is collected, the development of online wallet will also be postponed until the moment the necessary funds on the commissions of the exchange are earned. If 40-90% of Hard cap is collected, the working capital will be proportionally reduced from 65% to 50%, while the proportion of other RM items will be proportionally increased. The company LIQNET is registered in Singapore - a jurisdiction with one of the most stringent and advanced legislations in the field of ICOs. Compliance with the requirements of Singaporean regulators ensures the company's reliable work not only on the local, but also on the international markets. Our global strategy is strict adherence to the laws of the most stringent jurisdictions. This is the best protection for LIQNET's customers, regardless of where they are located. The legal address of the main office of the company: 10 Maxwell Road, # 09-17 Maxwell House, Singapore (069113). You can learn more about the main members of the LIQNET team in the corresponding section of White Paper. To purchase the tokens, if required under the laws of your country, you must confirm that you are not an affiliated person or representative of the United States, Singapore, Canada, China, South Korea, or any other related jurisdiction, and provide all necessary documents for the KYC procedure at the request of the company, as described in paragraph 8 of Token Sales Agreement. IMPORTANT! This information applies to citizens, residents and tax residents of the United States. In accordance with the requirements of US regulators, including the SEC, registration in our system is only possible for qualified investors. After getting a confirmation through the link https://adviserinfo.sec.gov, we ask you to enter your ID in the SEC system so that you can go through the registration. Arbitrage is multiple logically related transactions aimed at extracting profit from the difference in prices for identical or related assets at the same time in different markets (spatial arbitration) or in the same market at different times (temporary arbitration, ordinary exchange speculation). Order book is a table of limit orders for the purchase and sale of assets on the stock or cryptocurrencies market. Each application contains the price (quotation) and the number of units of the asset. Volatility is a statistical and financial indicator that characterizes the variance of a price. Market depth is an assessment of the volume of transactions on a particular market, conducting which does not cause a change in prices. Derivative is an agreement between two parties under which they assume an obligation or acquire the right to transfer a particular asset or amount of money within a specified time (or before its occurrence) at an agreed price. "Derivative" is a general name for a class of derivative financial instruments (examples of derivatives: futures, options). Closed jurisdiction is any territory whose current legislation, in one way or another, creates restrictions on the activities of companies and individuals from other jurisdictions, in particular in the financial sphere, and in particular in the field of turnover of cryptocurrencies and related services. Closed jurisdictions may also include regions, access to which is limited due to the specifics of the market and the positions of those already operating in such a domain. Clearing is an activity to define and set off mutual obligations of participants in the stock or cryptocurrency market. Cryptocurrency acquiring is a technology that is a sort of acquiring and allows you to accept cryptocurrencies in online stores or real outlets. Liquidity is the ability of assets to be quickly sold at a price close to the market price. Volume of a trading position is the size of an order to buy or sell an asset. Option is an agreement whereby the buyer of the option (potential buyer or potential seller of the underlying asset: commodity, security, cryptocurrency) receives the right, but not the obligation, to buy or sell the asset at a predetermined price at a specified time or period. In this case, the seller of the option must sell the asset accordingly or buy it from the option buyer per its terms. Order is an order to buy/sell an asset at a price that is specified in advance, or at a better price. Spread is the difference between the best prices of requests for sale (ask) and purchase (bid) of some asset at the same time. Cross-section is a copy of the data for a period or at a particular point in time. Fiat, fiduciary currencies are money, the nominal value of which is established and guaranteed by the state, regardless of the value of the material from which it is made, or their provision with a particular resource. Futures is a contract between the seller and the buyer which provides for the delivery of a specific product, shares, services or cryptocurrencies in the future at a price fixed at the time of the conclusion of the futures. The parties bear obligations to the stock exchange up to the execution of the futures. >Multicharts, MT5 (MetaTrader 5) are trading terminals from third-party developers. 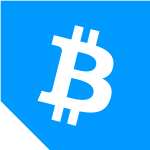 - a background clearing system that checks the correctness of current balances and I/Os between full cross-sections, and when a discrepancy registers a dangerous state, it transfers funds to cold wallets and multisignature addresses. Customer care is the main principle and reason for the existence of LIQNET. How to profit from the LEN tokens if I do not trade on the exchange? The LEN token holders receive a discount on the exchange's commission of up to 90% and gain access to the voting service to take part in making decisions on a number of key issues. The clear benefits of owning tokens provide the demand. The exchange value of the LEN token will be determined in accordance with the demand and supply. 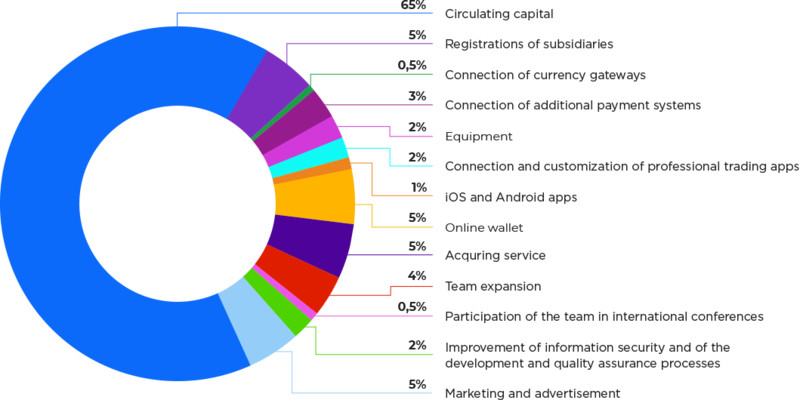 The more users of the LIQNET platform, the more participants need LEN tokens. Additionally, based on the results of votings of the token holders, it is possible that a buy-out of tokens at current prices at LIQNET will be done to ensure the demand in order to avoid sales at low prices and access to ultra-low discounts in huge volumes. How will LIQNET make profits? LIQNET's earnings are based on the commission for trading cryptocurrencies and own arbitration. We are the first. By the second quarter, LIQNET did not have a single efficient competitor on the global market. Exchanges-aggregators are being developed and sooner or later will open for traders, but by this time LIQNET will gain valuable experience and a large client base. Has LIQNET already connected the largest exchanges? LIQNET will connect to exchanges as their client. To connect, you must deposit funds and receive trading limits. This is exactly why the funds are being collected through the ICO. Why will large exchanges connect to LIQNET? LIQNET gives them an additional volume of transactions. It is beneficial to all. Will LIQNET receive permission from the Singapore Securities Commission to issue securities? This is not required, since LIQNET issues Utility Tokens (the company issues them to customers to finance their future purchases, utility tokens do not perform the function of securities). Why is the mostly Russian team in Singapore? In recent years, Singapore has done a great job of creating legislation that meets the most modern requirements of the cryptocurrency market. Strict laws of Singapore are primarily aimed at protecting traders, so LIQNET wants to meet the advanced requirements of local regulators, working ahead of time for most other jurisdictions. We are proud of this. The office in Singapore allows LIQNET to respond quickly to changes in both the legislative and business landscapes, because there is a very high concentration of blockchain projects and specialists there. This is the best place to conduct a global business in cryptocurrency trading. Does the office in Singapore function or was it created for the sake of a legal address? At the moment, LIQNET has decided on the opening of a legal entity in Singapore. We are planning activities and recruiting specialists. Among their tasks will be marketing, strategic planning, investor search and technical support. The opening of the office is scheduled for the 4th quarter of 2018. In the current active phase of preparation for entering the market, we decided to concentrate the entire team, including founders, developers, marketers and managers, in Russia. This allows us to minimize delays between decisions and their implementation. In the future, remote offices of LIQNET will be united by round-the-clock communication using advanced technologies of corporate interaction.